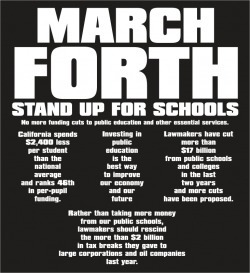 “Stand Up For Schools” informational rally to be held on front steps of GWS Auditorium on the Chaffey High School campus @ 3:30pm on Thurs., March 4th. There will be guest speakers to address all Chaffey Family and Stakeholders. 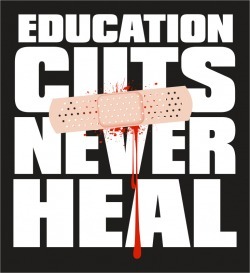 Tell your legislatures to stop the cuts to public education.Please act to close the corporate tax loopholes. Corporations need to pay their fair share and not take anymore away from public education. $2 billion loophole tax dollars could be used to help California's students. Governors quote "...I will protect education funding in this budget." What happened?